Jude Cowan Montague is a musician, poet and artist, and as such found a lot of fertile territory on a trip to Mauritius. As well as inspiring a whole album of songs, the visit led to these poems and the striking prints that illustrate the book. The foreword explains that Montague and her Mauritian friend dreamed of a visit to this tropical African island while working in a Students’ Union in the East End of London. The visit they made seems to have lived up to Montague’s expectations of paradise. Her chapbook of poems and prints is a colourful travelogue – enough to make me want to visit too. The Groodoyals of the title are the poet’s friend Kiran and her Mauritian family. Like about half of the Mauritian population, they are of Indian descent, and Montague’s lucky break was to spend time with them and their neighbours, and to present the island to us not just as a tourist but with insider knowledge. 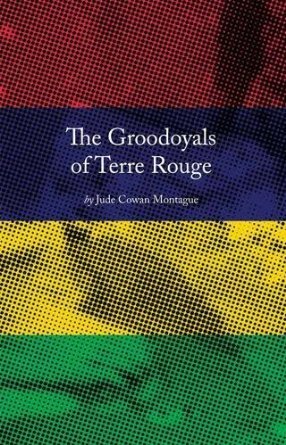 A helpful glossary at the back of the book reveals some of the Mauritian vocabulary that Montague draws on in the poems, there’s even an introduction in Creole by Kiran’s brother Jay Groodoyal. The poems begin in a Port Louis café called Mystic Masala, where the poet is remembering how to draw after a long break. She watches the people walking on the waterfront and stopping for lunch. to neighbours, Namaste, happy Diwali. The local dogs are a pervasive presence, in ‘Morning Walk’, ‘five straggling mongrels’ join the poet, wandering off one by one. The colourful prints in the book also contain images of friendly and inquisitive dogs trotting through the landscape. The goddess Durga, riding a tiger, is also present in the prints, and is addressed in prayer in the poem ‘Pooja’ where the narrator prays: ‘Durga, bring me my love, / naked from the storm cloud, / rain in my mouth.’ She is also present in ‘Texting Durga’, a commentary on the mixture of tradition and technology in modern Mauritius. Cowan shows us the natural world. 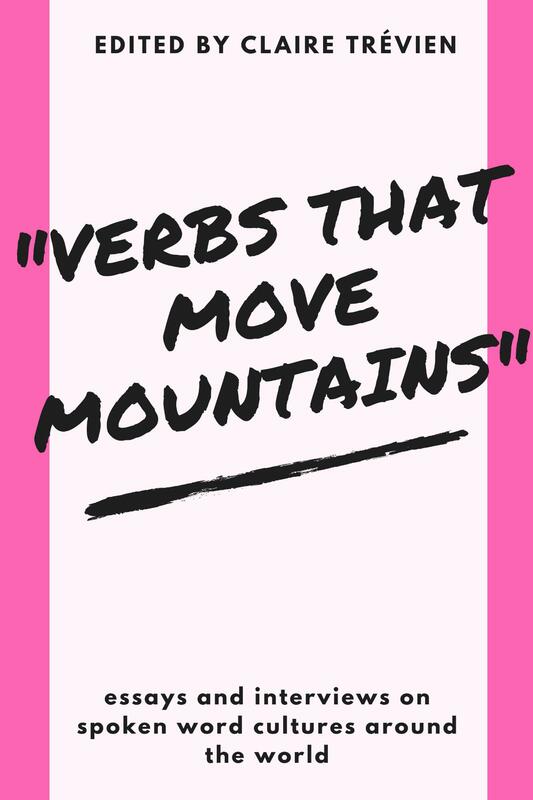 In ‘Caterpillars (Baie de Tombeau)’ the caterpillar moving up a tree ‘hydraulic quick’ is a ‘moving bridge’. In Terre Rouge II, ‘We watch the fruit bats / flying overhead, eating jamballac /as they hang from the branches.’ Cowan’s style is straightforward and narrative, there’s no great attention to rhythm or sonics, but the material she has to draw on is innately beautiful and the visual images strong enough for us to share her experiences of Mauritian life. This chapbook is, as a whole, entertaining and vivid. The simplicity of the poems’ language fits well with the naïve style of the artwork. The overall impression is of an affectionate tribute to Mauritius. Taken individually, none of these poems is world-beating, but holistically they comprise a beautiful memoir, full of sunshine.